Daniel Suelo in 2000 decided to quit money stating that it "was an illusion." He has lived in Utah caves and scavenged for food ever since. He hasn't complained, asked for a hand out, or spent a dime in 12 years. 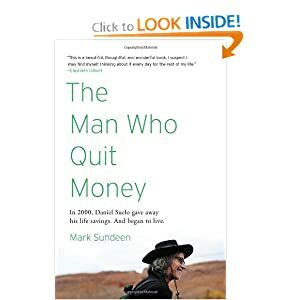 Daniel's amazing journey was not driven by any ulterior motives and by chance an author named Mark Sundeen knew of his situation and decided to write a book about it.